Are you ready to be a caregiver? Do you want a rewarding job that you will love doing? Are you passionate and loving? Have you provided care for an elderly loved one in the past? If you’ve answered yes to these questions, a caregiver career is waiting for you! 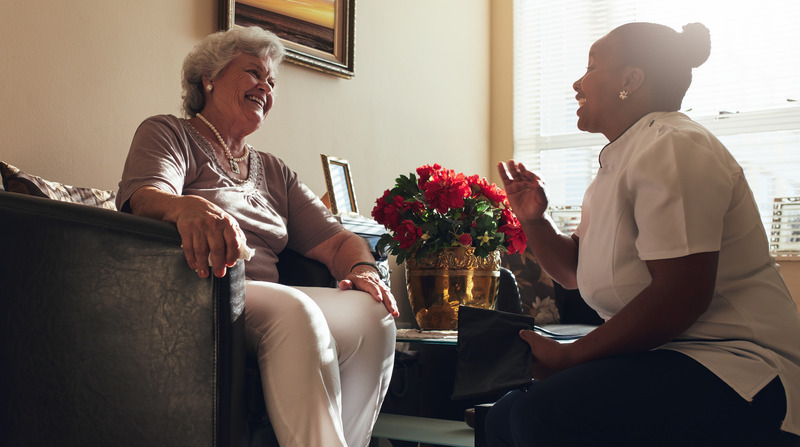 At Home Care Powered by AUAF, we value the importance of providing the best possible care to our clients. We have built a reputation for quality care and exceptional services, so we’re looking for individuals who can build on that. We’ve earned this reputation because of our exceptional employees who have demonstrated their commitment to our clients and our organization. We are dedicated to recruiting, training, supporting and retaining the best professional staff of caregivers, so that we can continue to expand our services. We provide competitive pay and online training. If you’d like to apply or would like more information, call us at 877-753-5659. You can also send us an email info@homecare-aid.com, or fill out the form below and a Home Care Powered by AUAF representative will contact you. In-home caregivers can assist with maintaining personal hygiene, including toileting, bathing, dressing, and grooming. Caregivers can assist seniors in preparing and eating meals, as well as clean-up. Caregivers are ready to assist seniors with medication reminders and management. Caregivers provide light housekeeping assistance including dusting, mopping, vacuuming, and more. Caregivers can provide laundry care including sorting, washing, folding and ironing. Caregivers can accompany clients during their outings, ensuring there is always someone there to assist when needed. Caregivers are at the ready with activities centered on stimulating the mind. Caregivers will provide the companionship seniors need, in the way they need it most. Caregivers can help with organization of bills and forms, and also with staying up-to-date with technology.